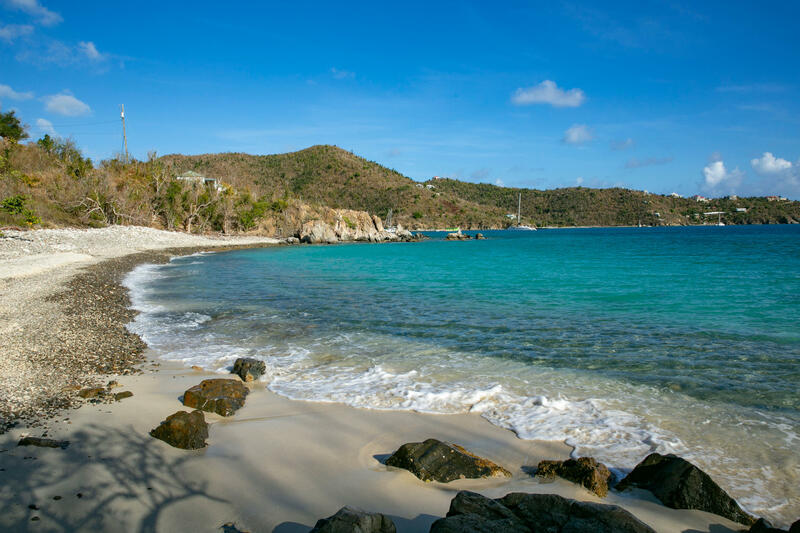 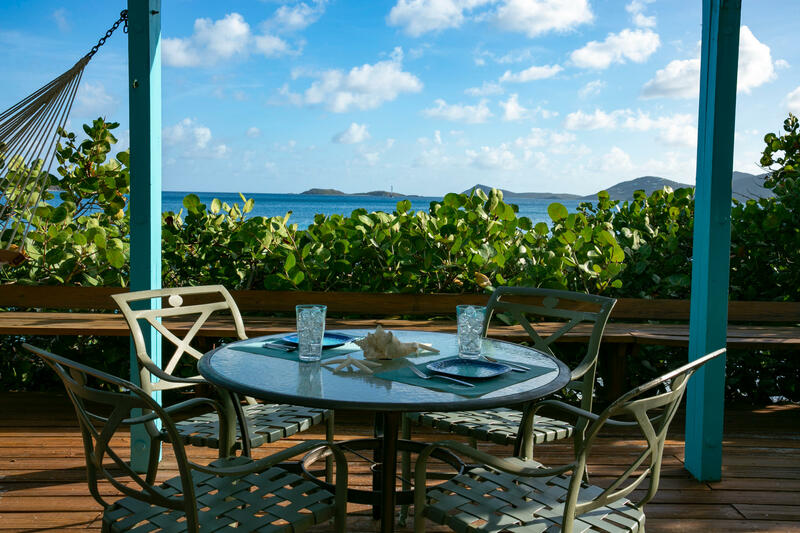 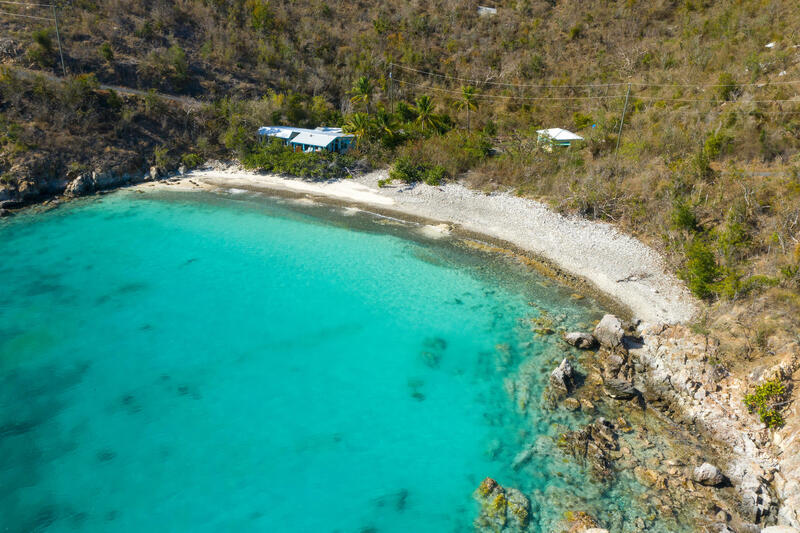 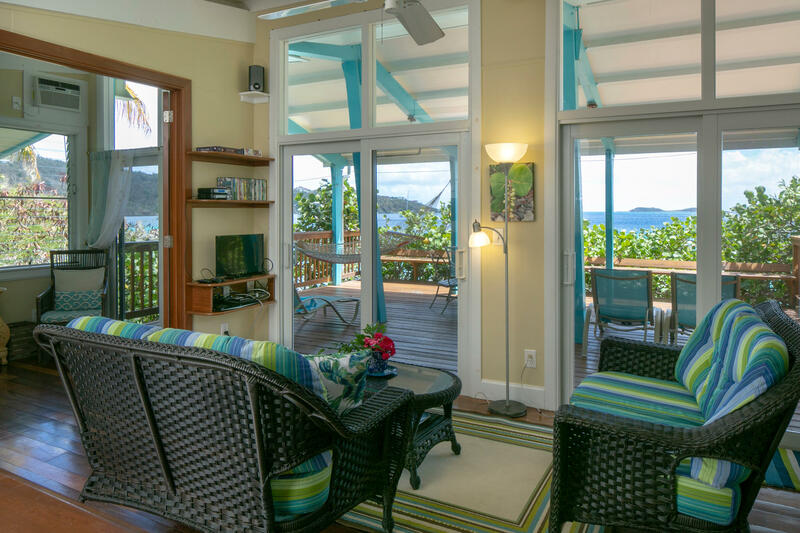 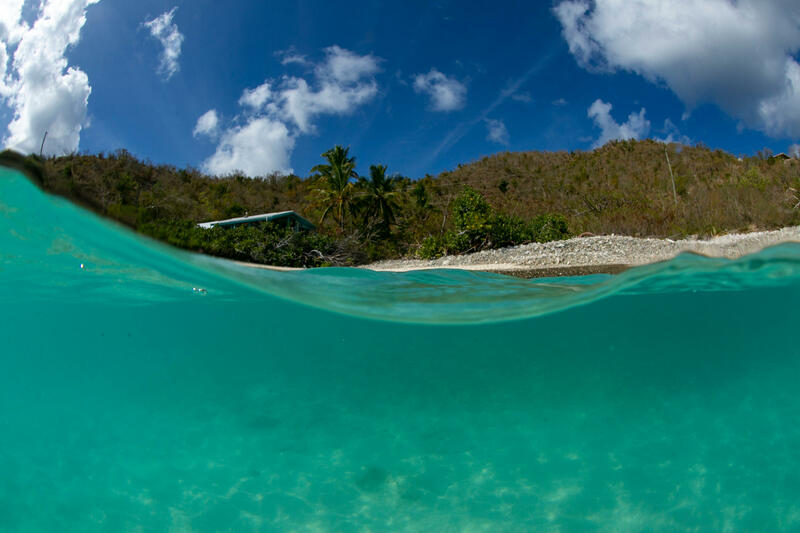 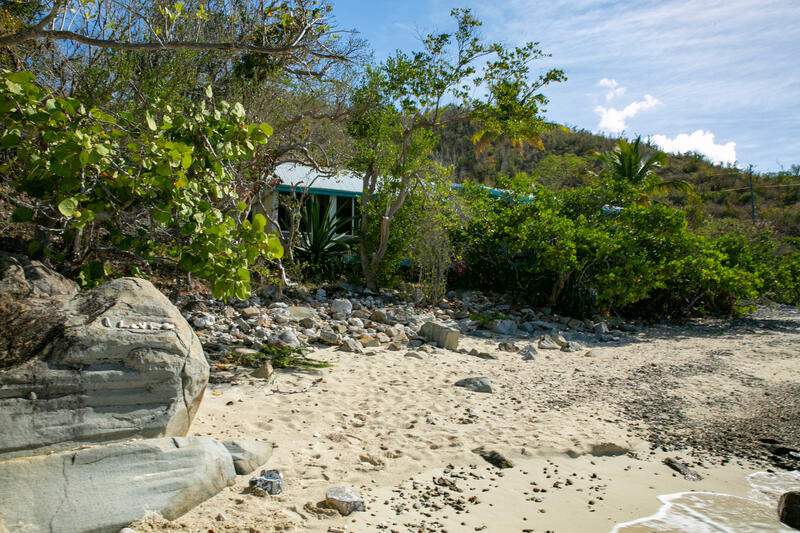 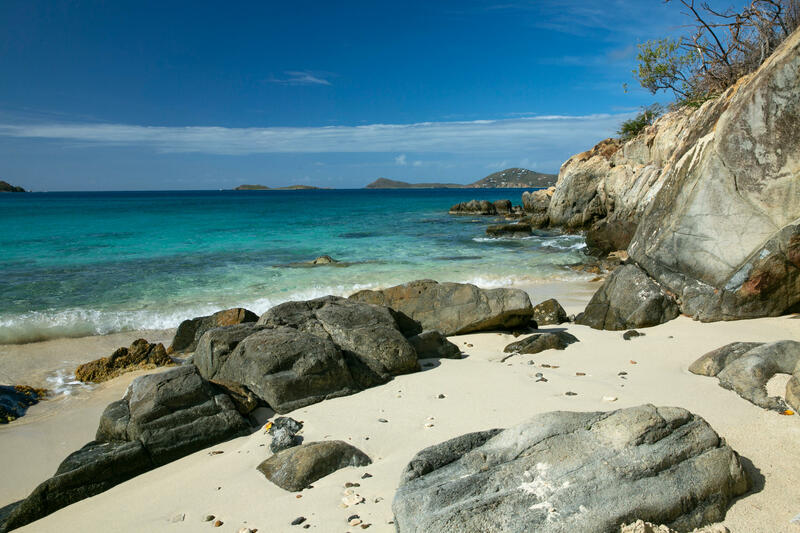 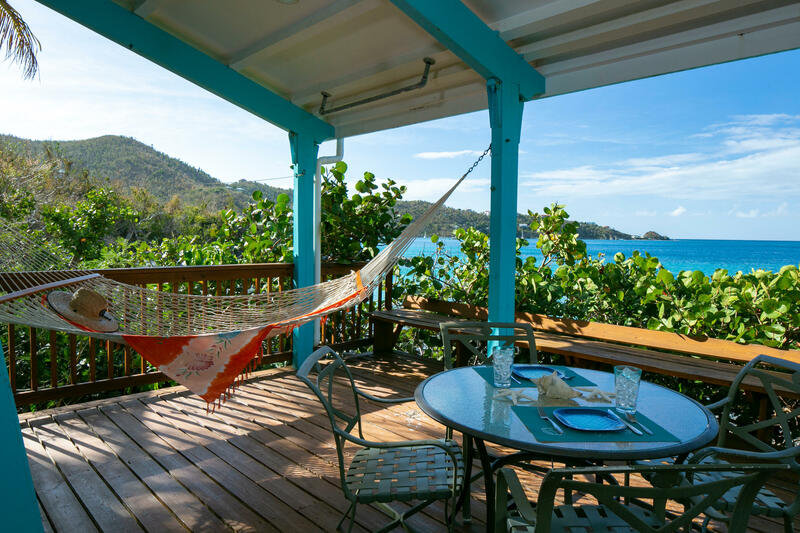 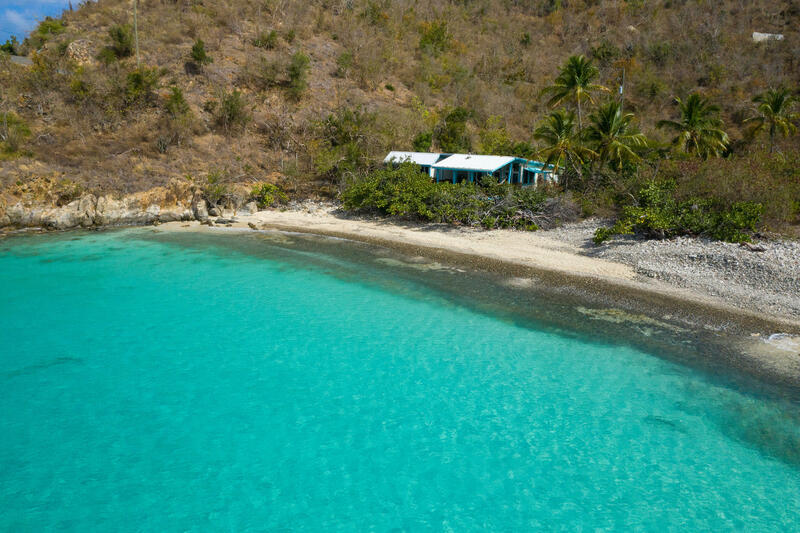 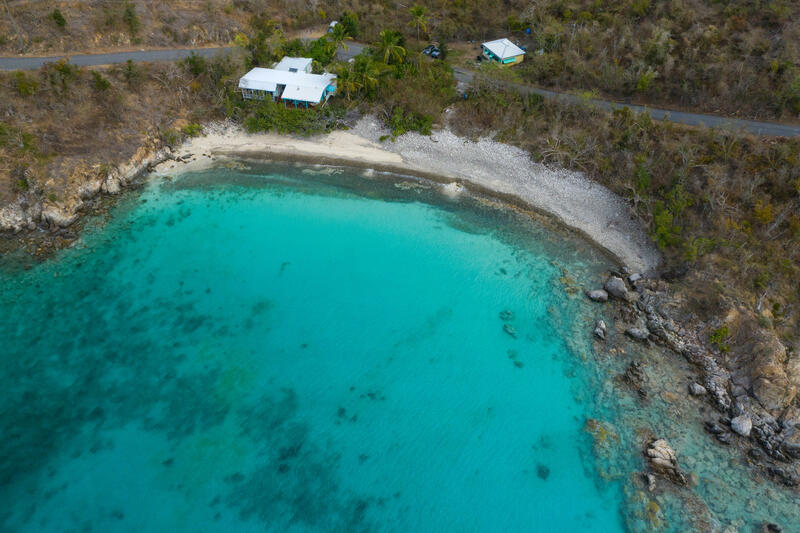 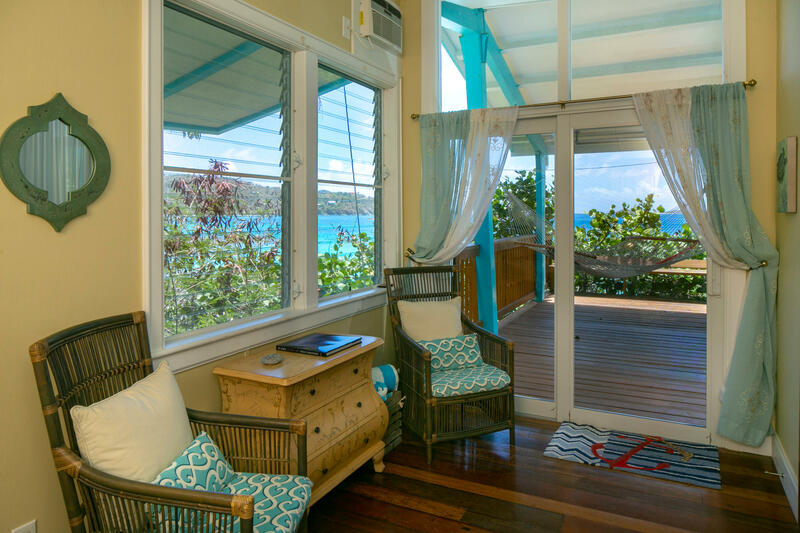 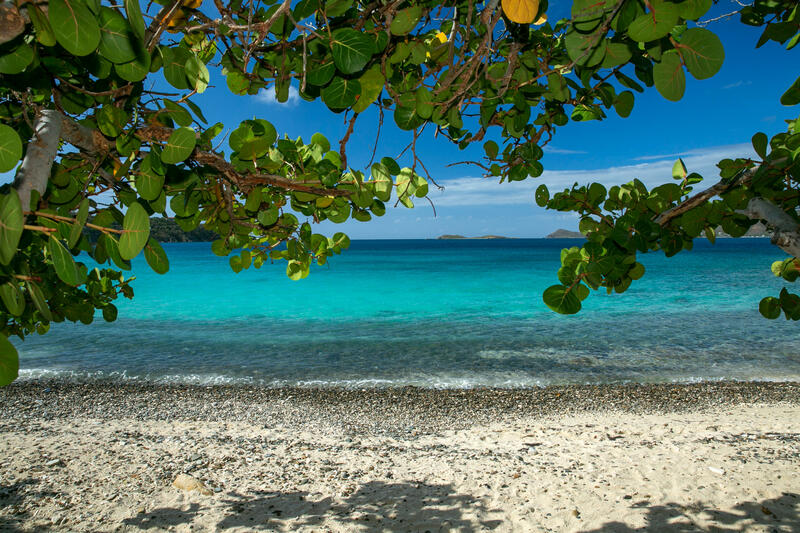 The Beach Cottage’s combination of privacy and beachfront location make it an unprecedented property on the island of St. John. 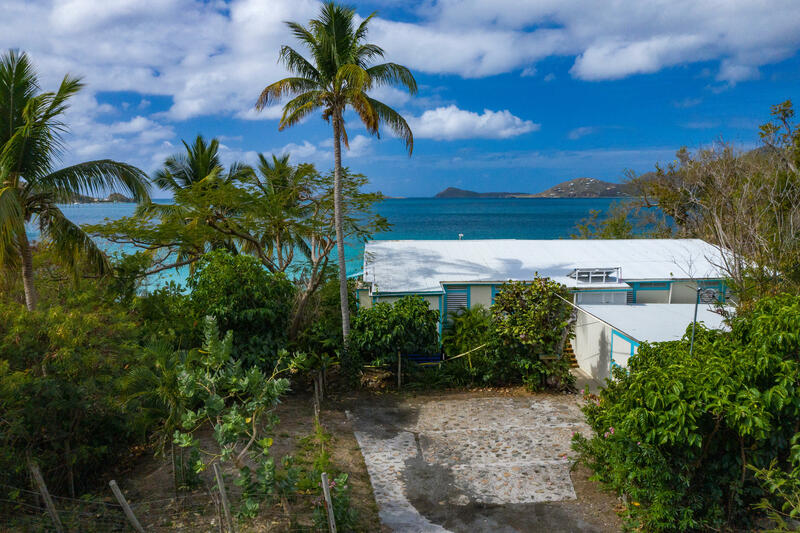 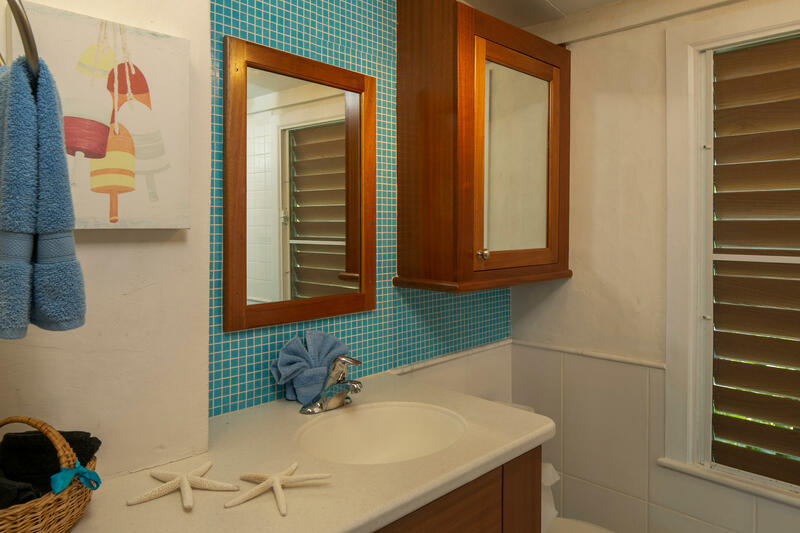 This one-level, two-bedroom, two-bathroom home sits on a rare private pocket beach; two unimproved lots that adjoin this half-acre property are also available, giving you the opportunity to create your own secluded beachfront compound. 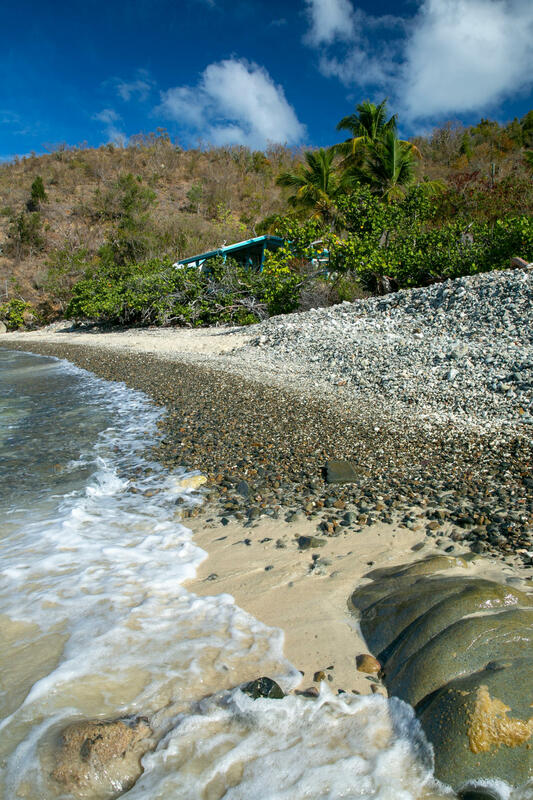 The white sand and cobblestone shoreline could be improved with a beach cabana or private dock. 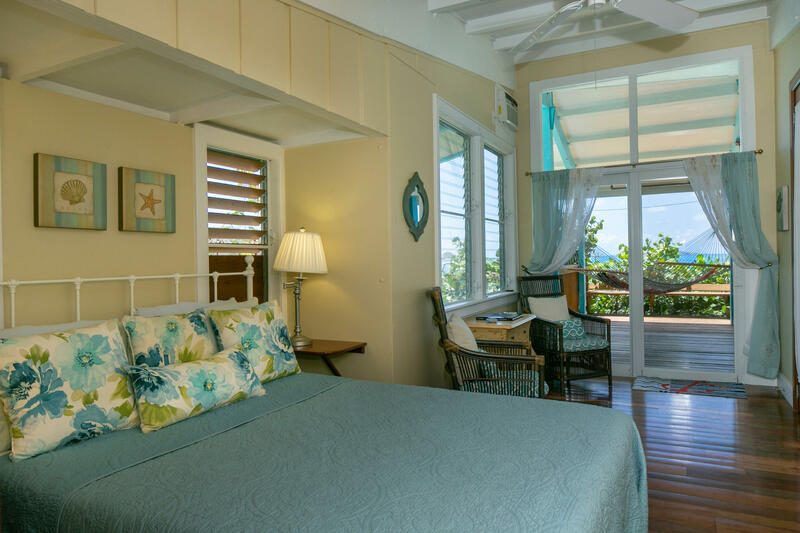 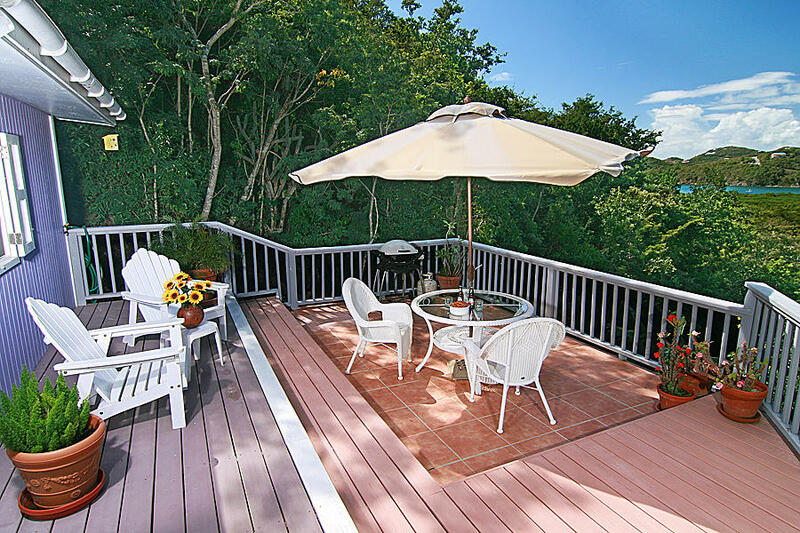 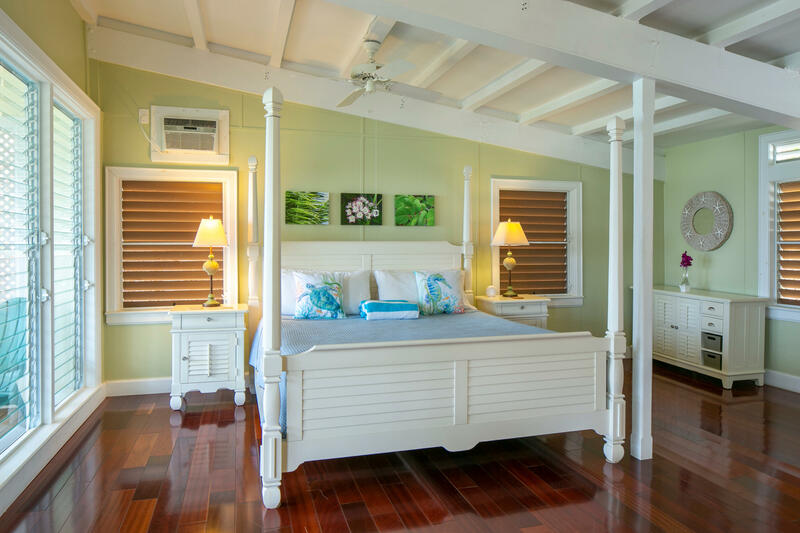 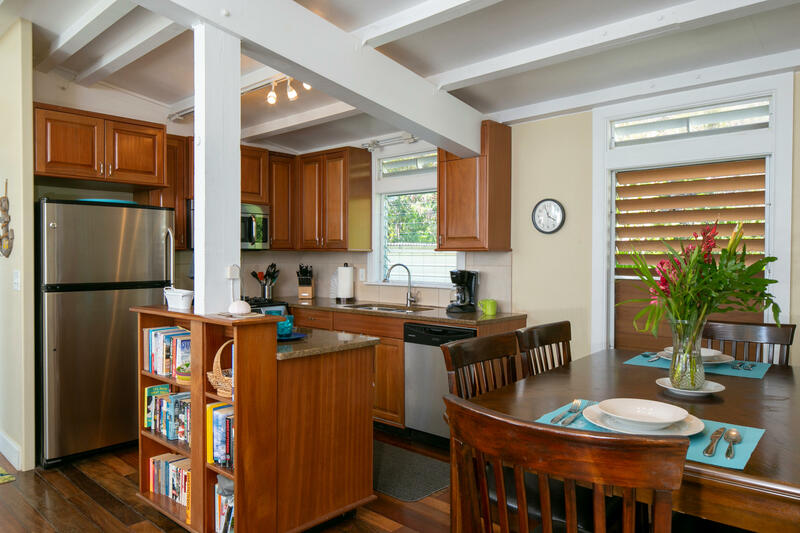 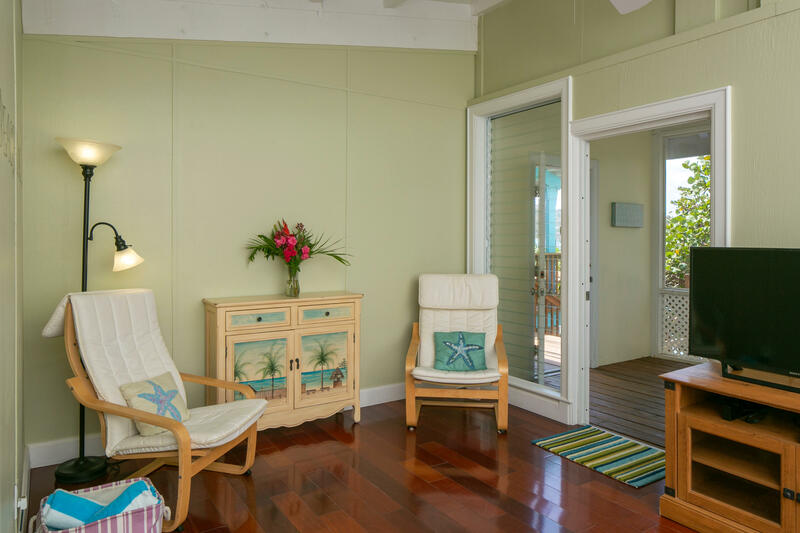 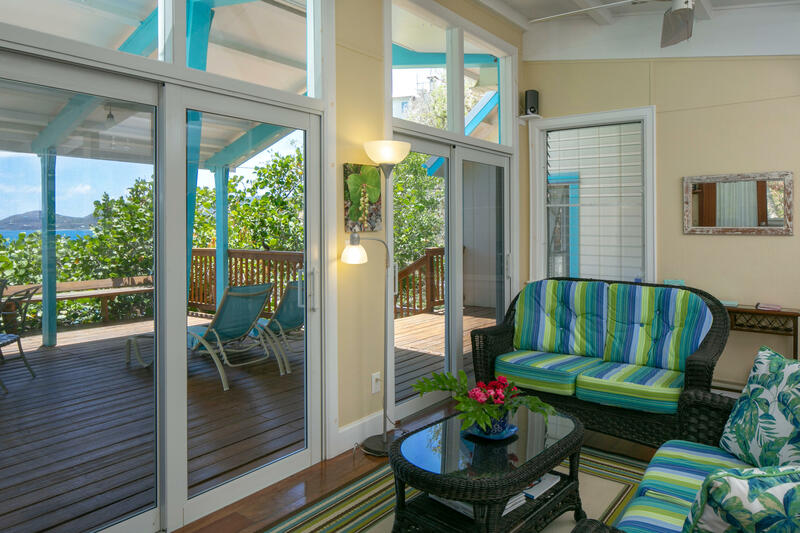 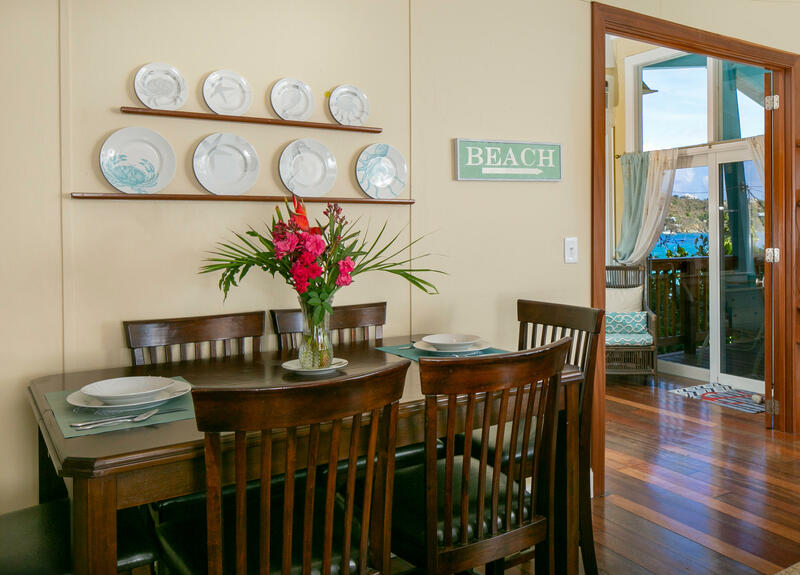 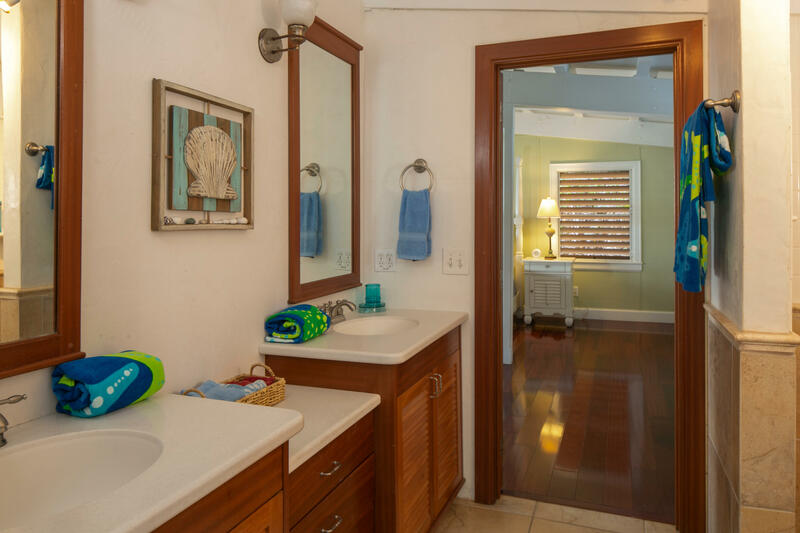 Located at Limetree Cove on the island’s tranquil East End, the Beach Cottage offers a charming romantic getaway. 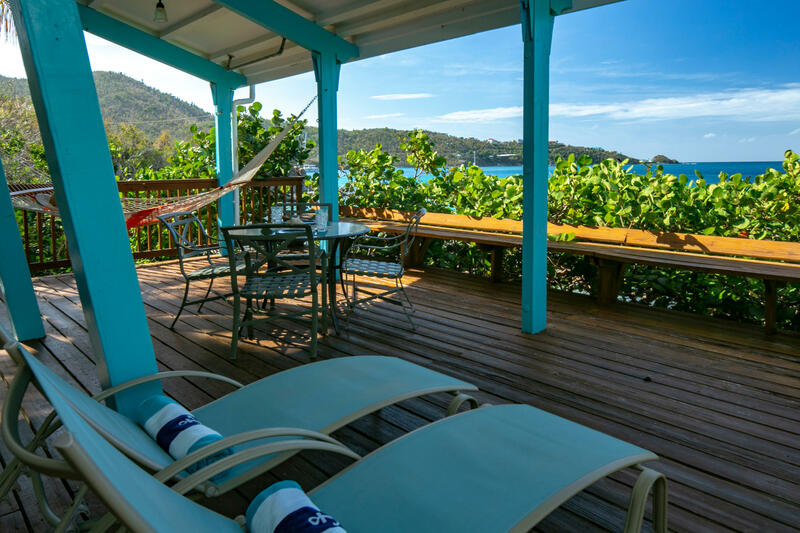 Kayak, snorkel, or paddle board directly from home on the cove’s calm waters, or enjoy an afternoon cocktail and a hammock nap from the breezy deck, with expansive ocean views. 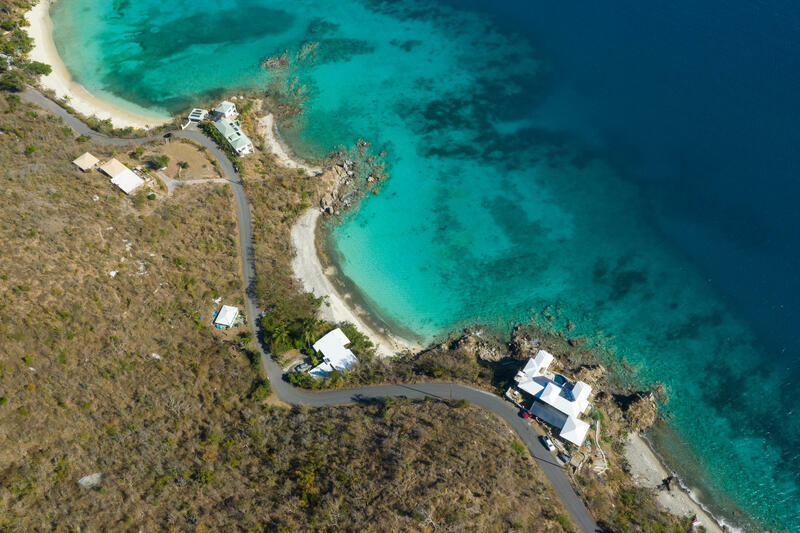 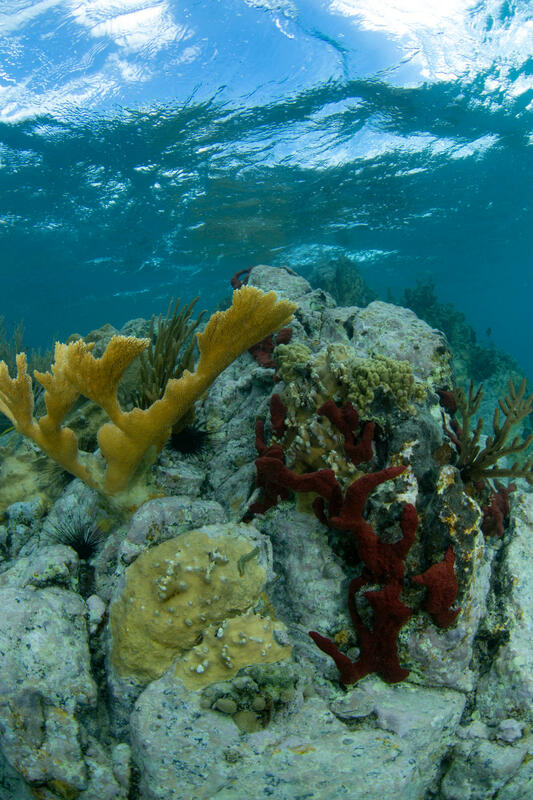 Directions : Route 10 (Centerline) through Coral Bay to East End. 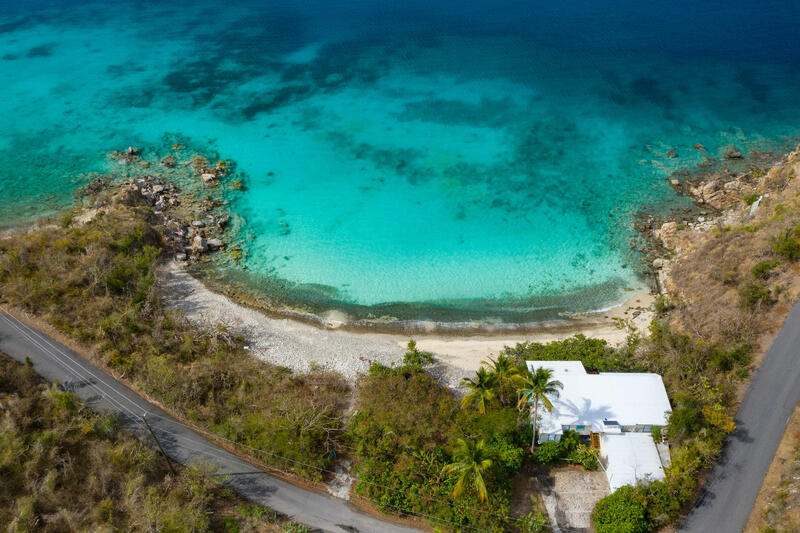 Past Haulover Beach, round the point with houses, property at the bottom of the hill on the right.